Thomas Cornelius is a postdoctoral researcher at the ID01 beamline at the European Synchrotron Radiation Facility (ESRF) in Grenoble (France). His research interests are in nanoscale science. 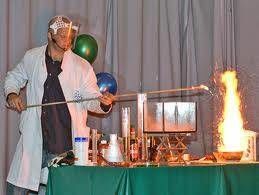 He holds a physics degree and PhD from the University in Heidelberg. 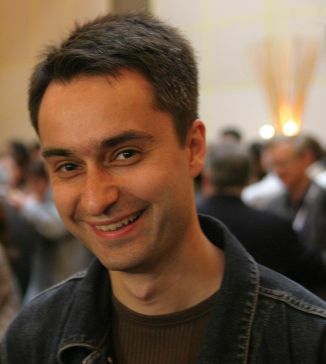 During his doctoral studies and a postdoctoral fellowship at the Materials Research Department at GSI Helmholtz Centre for Heavy Ion Research in Darmstadt (Germany) he concentrated on the electrochemical growth of metal and semimetal nanowires as well as on the characterisation of their structural, electrical, and infrared optical properties. At ESRF, he focuses on the characterization of the mechanical behavior of single nanostructures. For this, our team at ID01 developed an in situ combination of nanofocused X-ray diffraction and atomic force microscopy. Research stay at the IBM Almaden research center, San Jose (CA), USA. Research stay at the CRMCN-CNRS, Luminy, Marseille (France) supported by DAAD, project on self-organized structures in SiC. Olivier Fruchart is currently working in Institut Néel (CNRS) in Grenoble, as a scientist (permanent position). His research interest is to fabricate novel nanometer-sized magnetic objects by tailoring UHV epitaxial self-organization processes on surfaces. Due to their high structural and chemical quality, these systems can serve as model systems for magnetic studies. These studies include magnetism at interfaces, micromagnetism (magnetic domains, magnetization reversal, etc. ), interplay of structure and magnetism, etc. Study on Semiconductor Nanostructures nanoparticles, Study on Molecular Electronics exciton etc. Dr. Hong-jun Gao got his Ph.D. is now a professor and Deputy-Director of the Institute of Physics, Chinese Academy of Sciences. Since 2001, he has served as the Director of Nanoscale Physics and Device Laboratory, Institute of Physics, CAS. 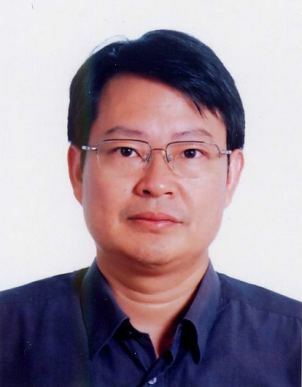 Dr. Gao is a Fellow of the Institute of Physics, UK, and has served as an Associate Editor for Appl. Phys. Lett. Since 2010 and an editorial board member for the New Journal of Physics since 2003. He was the Scientific Secretary of the International Union of Vacuum Science, Technology, and Applications (IUVSTA) in the triennium 2004-2007, Vice-Chairman of the Nano Science and Technology Division (NSTD), IUVSTA in the triennium 2007-2010, and is now the Chairman of the NSTD, IUVSTA (2010-2013). From 1997 to 2000, he worked at the Oak Ridge National Laboratory (ORNL) as a Guest Scientist on structures and properties of nanomaterials. In recent years he visited several universities in the US and Germany as a Visiting Professor, and ORNL as Scientific Consultant several times. His research interests are in surface/interface structure and physical properties with scanning tunneling microscopy/spectroscopy (STM/STS) including molecules at solid surfaces at a single molecular level, and nano-materials and nano-electronic devices. He has 6 international books/chapters and about 200 journal publications including 6 international invited review articles and 15 PRL, 7 JACS, and 10 Adv. Mater., and 16 APL papers. 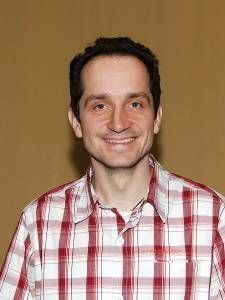 His research on the construction of an “anchored” single molecular rotor array, and on nanorecording using conductance transition at a single molecular scale, have been highlighted by the American Physical Society–physics, Physical Review Focus, Science News, Nature Materials, and Nature Nanotechnology. In 2008 and 2009, he was awarded the “OCPA AAA (Robert) Prize” (OCPA: the Overseas Chinese Physics Association; AAA: Achievement in Asia Award), the “TWAS Prize in Physics 2009” (TWAS: Third World Academy of Sciences), and “Humboldt Research Award 2010”. 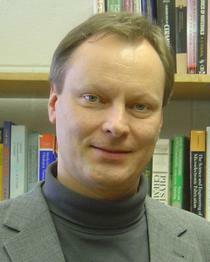 Franz Giessibl is currently full Professor at Universität Regensburg, Naturwissenschaftliche Fakultät II - Physik, Institut für Experimentelle und Angewandte Physik. 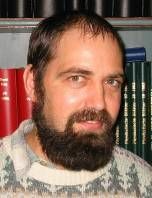 Dr. Ivan Gordon received his Master Degree in Physics in 1997 from the University of Leuven (KUL), Belgium. He did his PhD research in the field of novel magnetic materials for sensor applications and obtained his PhD Degree from the University of Leuven in February 2002. He started to work at imec in June 2003 in the photovoltaics department, where he is currently the head of the Photovoltaics Explore group, working on thin-film silicon solar cells, CIGS solar cells, III-V solar cells, a-Si/c-Si heterojunction solar cells and advanced module concepts for thin c-Si wafer-based cells. Since 2008, he is associate editor for the international scientific journal Solar Energy Materials and Solar Cells. He has authored and co-authored more than 100 journal and conference papers. Pavel Jelínek: Exploring Nano: what can we learn/expect from theoretical studies? Theoretical description of SPM methods (single atom manipulations, dissipative mechanism at atomic scale, chemical identification, imaging processes). 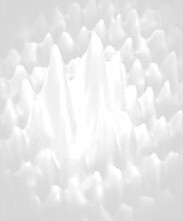 Ab initio simulations of the mechanical, optical and transport properties of nanostructures. AFM/STM experiments with atomic resolution. 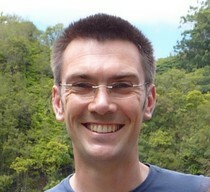 Dr. Michael Londesborough, Ph.D. is a British-Czech scientist, who moved in the Bohemia in 2002. 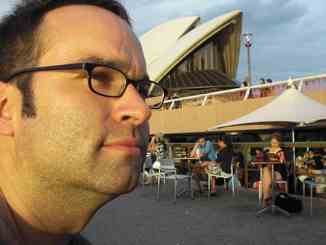 He is currently producing the feature called "Michael's experiment" on the TV periodical CT PORT. He has been conducting research during last five years in the Institute of Inorganic Chemistry of the Academy of Sciences of the Czech Republic in Rez. Michael is cooperating in the projects with the British Council in Prague, participating in popularization projects of the Academy of Sciences, Czech TV and National Technical Museum. 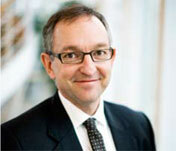 Lars Montelius, Professor in Nanotechnology at nmC@LU, Lund University, Sweden. LM is also acting President Swedish Vacuum Society & Swedish Councillor of IUVSTA (International Union of Vacuum Science & Technology). His 20 years of work in nanotechnology has centered around scanning probe microscopy & spectroscopy & luminescence & imaging & manipulation of low-D structures, electron & ion beam and nanoimprint lithography & processing applied to single electron tunneling, quantized conductance and various bio and NEMS-devices. His recent research interests are on exploratory nanotechnology bringing it to the life sciences, especially in the neuronanosciences. LM has published more than 140 articles, given more than 65 invited talks and has filed 20 patents. LM is also the founder of several companies working with nanotechnology and a Director of the Nanoimprimt Lithography company Obducat AB, Sweden. Between Jan 2009 – Feb 2011, he was appointed director for Øresund University & Øresund Science Region, being a cross-border cooperation between eleven universities, three regional authorities, two countries in the Øresund Region, one of Europes most innovative regions. Dr. Walter Riess studied Physics at the University of Bayreuth, Germany, where he received a Master degree (Physics) in 1987 and a Ph.D. (Physics) in 1991. From 1991 to 1995, he was leading the Polymeric Light-Emitting Device Group at the Lehrstuhl Experimental Physik II at the University of Bayreuth. In 1996 the University of Bayreuth conferred Walter Riess the habilitation based on his thesis on polymeric light-emitting diodes. In 1995 he joined the IBM Zurich Research Laboratory as a Research Staff Member and in 1998 Dr. Riess became manager of the Display Technology Group working on display applications of electroluminescent organic materials. From 2004 to 2008 Dr. Riess was leading the Nanoscale Structures and Devices group where his research activities focused on ultimate and beyond CMOS devices based on semiconducting nanowires. Since November of 2008, Dr. Riess has been the Department Head of the Science & Technology Department at the IBM Zurich Research Laboratory. Research activities in the department span: chip cooling, advanced thermal packaging, optical interconnects, silicon photonics, nanofabrication, 3D integration, self-assembly and patterning, experimental biology, magnetism, spintronics, AFM & STM imaging, III-V and Ge on silicon, semiconducting nanowires and molecular electronics. In 2005 Dr. Riess was recognized with IBM’s Corporate Patent Portfolio Award and in 2007 he received a Special Recognition Award from the Society for Information Display for his leading contributions to the design and development of top-emitting large area active matrix organic light emitting display driven by amorphous-silicon thin film transistors. Dr. Riess holds more than 40 patents. 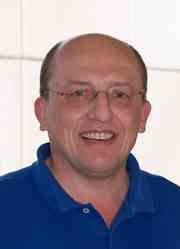 He is a member of the German Physical Society, the Swiss Physical Society, IEEE and the Materials Research Society. Markus B. Schubert holds a Dipl.-Ing. and a Dr.-Ing. degree, both obtained from the Faculty of Electrical Engineering at the University of Stuttgart. He received his Dipl.-Ing. degree in 1985, and worked as a research assistant at Stuttgart University, Institute of Physical Electronics (ipe) on thin film deposition and the structural, optical and electronic charac­teri­za­tion of amorphous semicon­ductors. He received his Dr.-Ing. degree on Raman scattering in amorphous semiconductors in 1992. In 1992 to 1996, in addition to ipe occupa­tion, he was a professor with the Faculty of Engineering Sciences at the University of Ulm (Germany), lecturing on the funda­men­tals of energy conversion. Since 1993, he has been leading a work group at ipe, managing various research projects on thin film sensors and solar cells. From 2002 to 2005, he overheaded all silicon work at ipe, covering topics from amorphous thin films to wafer based solar cells and microelectronics. His favourite research topics include materials research and develop­ment of silicon solar cells, photovoltaic systems' technology and yield analyses, as well as thin film photodetectors for retina implants, high definition Thin-Film-on-CMOS cameras, and microsystems for biodiagnostics. He has authored and coauthored more than 150 publications. 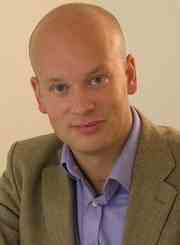 Since 1999, Markus Schubert serves as Associate Director of the ipe (40 employees, 5 research groups, cf. http://www.ipe.uni‑stuttgart.de), assisting the Director Prof. Jürgen H. Werner. M. Schubert is a member of several scientific and engineering organisations, and of the technical committee on sensors of the VDE/VDI GMM engineering society. Born in 1960 in Halle, Germany. 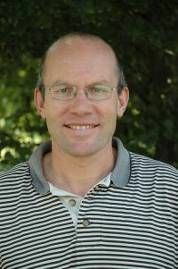 Christian Teichert is currently working as an associate professor in material physics, Institute of Physics, Montanuniversitat Leoben. Teacher, student's supervisor, organizer of numerous conferences and workshops. Since 2004 he is representative for Austria and (since 2010) Secretary of the Nanometer Structure Division of the IUVSTA. Physics and chemistry of solid surfaces in contact with vacuum, gases and electrolytes, in particular, adsorption on metal and alloy surfaces, heteroepitaxial metal films and surface alloys, oxide films and ionic crystal surfaces, atomic structure and self-assembled organic layers at metal/electrolyte interfaces, growth and structure of epicuticular wax layers (“green surface science”). More than 400 original publications and 7 edited books and monographs. More than 1200 invited and plenary talks, oral and poster presentations at conferences as well as colloquia and seminars.